I hope to post more pictures from Ryan's Graduation Party. Here are the cupcakes before I placed them on the tiered cake plates. 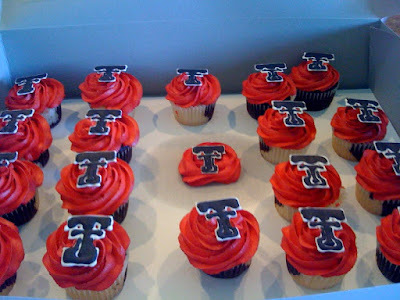 These were done by a bakery in Forney. You can barely see it, but the cupcakes are black/white. Isn't this classy? 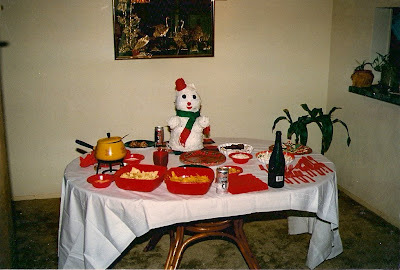 Everything was matching red plastic. 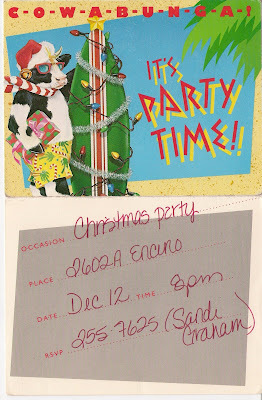 I do not remember the menu, but keep in mind that this was definitely a party on a budget. I think I made like $8.00 a hour - that was good money for a 22 year old. Remember when we didn't have to use area codes? 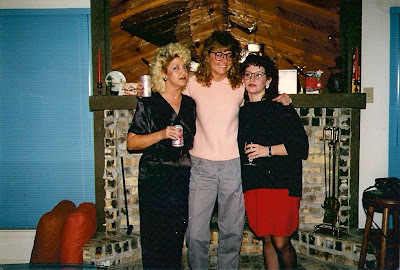 Check me out in my over sized black shirt and red sweater skirt. I think I was actually thin but you can't tell with that outfit. I made this recipe for Memorial Day. I placed a jalapeno slice on each one using jalapenos in a jar. Next time I make them I might add cumin and cayenne pepper for an added kick. They were a big hit, and gone almost instantly, so I recommend using more than one bag of Tostito Scoops. Where's a Safety Pin when you need it? 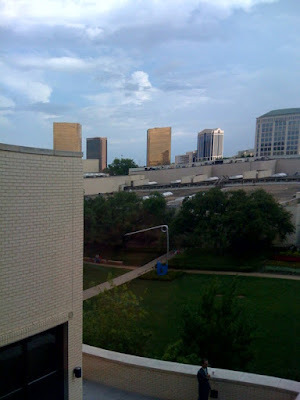 This is called the Corridor Pin Blue by Claes Oldenburg and Coosjie van Brugger. Please click on the link below for further details on how it ended up in Dallas.